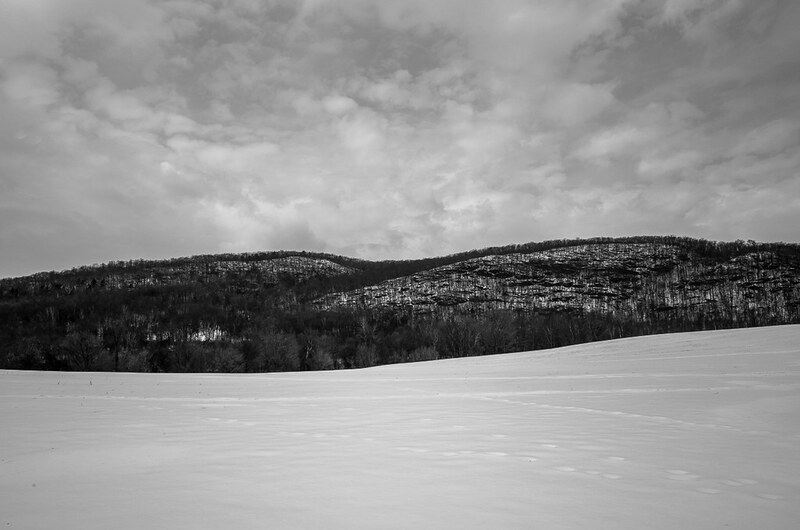 An old friend who hasn’t been on snowshoes in many years and I took a lap around this big field. What looked like a fast approaching storm ended up being nothing. Great to be out though and snowshoeing is a lot of fun. This image is looking west, the next one is looking back this way from the other side of the field. Next time we’ll go up the hill at the back of this image. My wife and I broke the trail up and over it a few days ago. The back-left of the hill is called “Waramaug Rock” and it looks out over Lake Waramaug which is about 3/4 mile to the left edge of this image. This image is looking east, the previous one is looking back this way from the other side of the field. Lovely atmospheric images Richard, with a very fine minalmist feeling. Thanks Gary. Just think, we used to hover in that field shooting weeds with our DSLRs on tripods. Thanks Martin. 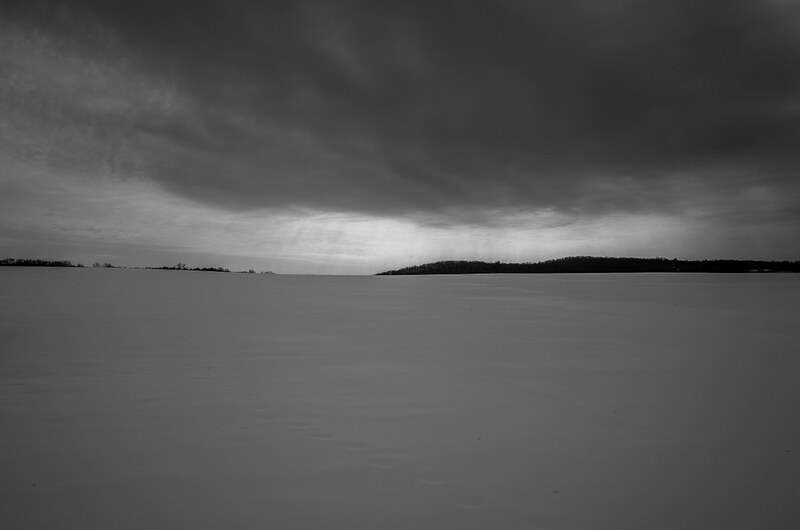 It seemed nicely minimalistic yet dramatic when I was there.